This is set of Japanese china plates (large x 1, small x 5) with a chromium-plate net for tempura dish. Great tableware for a party. 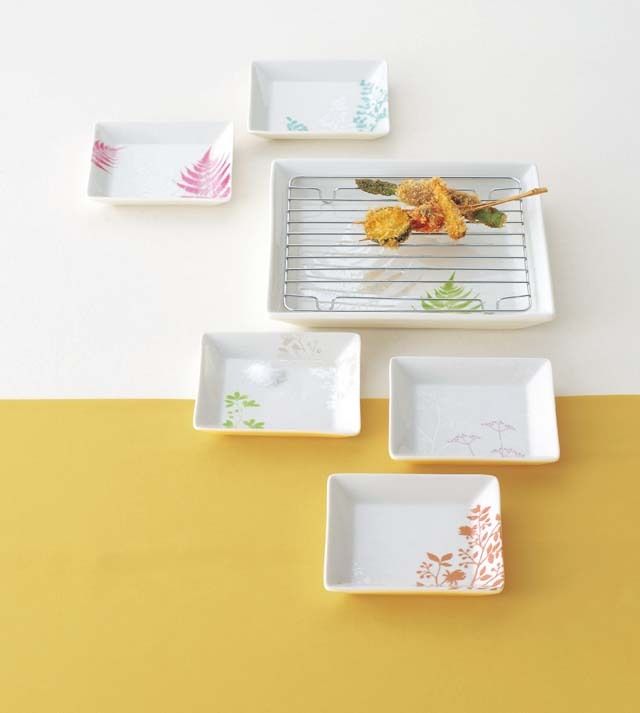 You can use the plates for fried, baked, grilled food or any other kind. The large plate has a green cedar pattern and each small plate has a different pattern with a different color. Announcement of the Winners of 1st Anniversary Free Gift!! !